The IMS Lime Slaker systems provide continuous high volume lime slurries (up to 8,000 lbs/hour) for industrial and municipal process pH adjustment, flocculation, and chemical reaction. The superior paste-type slaking technology consistently produces a higher strength and more reactive lime slurry resulting in more efficient and more economical use of the quicklime. 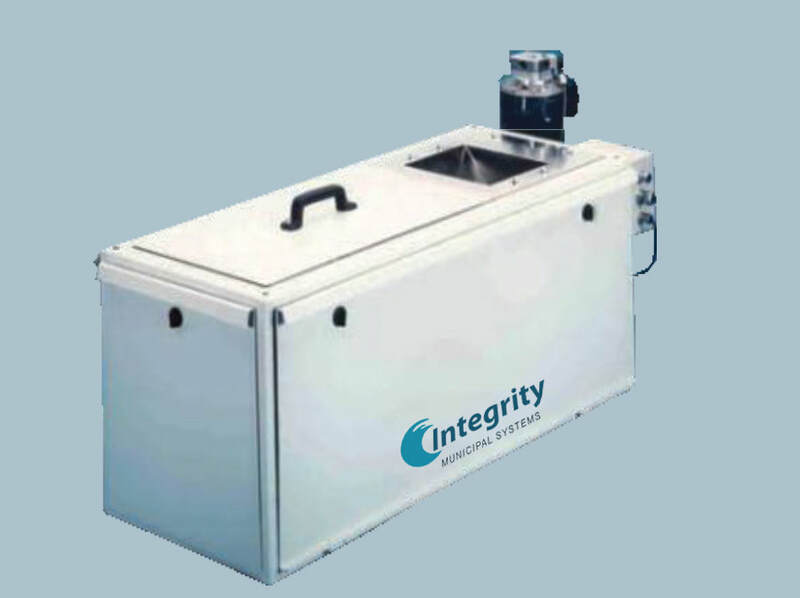 Systems are factory assembled and tested for quick and easy installation, and include options for lime feed and grit removal. Lime is one of the most common and economical chemicals used in the water and wastewater treatment process. The cost of commercial bulk hydrated lime or prepared lime slurry solutions, however, becomes prohibitive for installations requiring a continuous, high volume supply, typically greater than 45 kgs/hr (100 lbs/hr). To help alleviate this cost, on-site slaking or hydration is the ideal solution. Please contact us here for more information on our Lime Slaking Systems, product specifications, or a customized project quote. ​IMS Lime Slaker Feed Systems provide reliable feeding at minimal cost. The feeders are ideal for industrial and municipal water and wastewater treatment systems or for systems treating industrial process water. Please contact us here for more information on our Lime Slaker Feeders, product specifications, or a customized project quote. We are always pushing ourselves to create greater value for all of our customers and to continually improving the slaker product line. 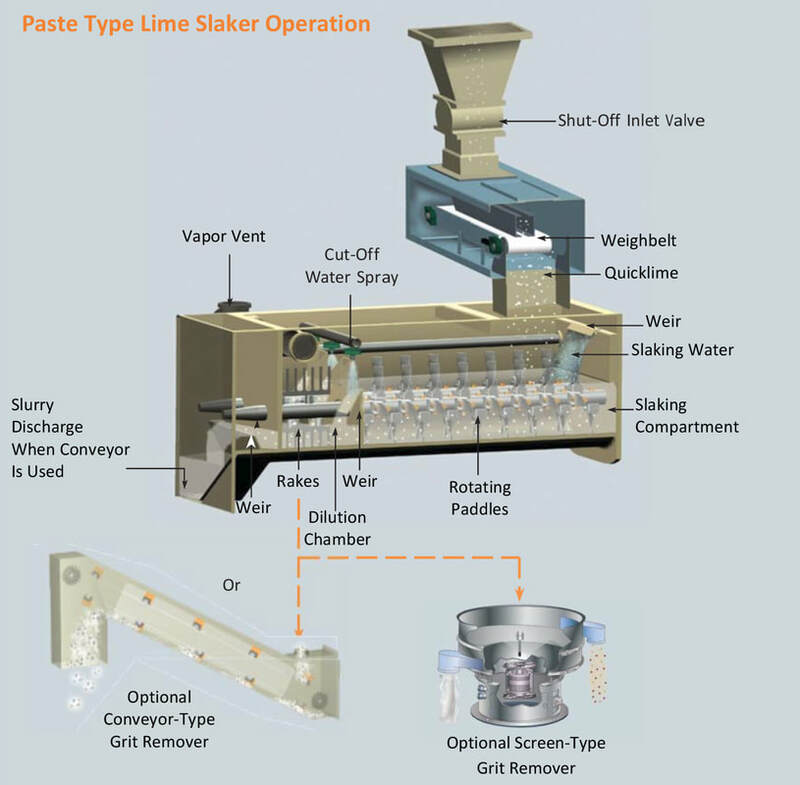 We have made several improvements to the lime slaker product line, which are geared towards streamlining manufacturing, simplifying maintenance, and reducing the number of parts required and the overall cost of parts (New pre-assembled water panel (Patent No. 9,908,812) and additional slaker upgrades). It is our belief that these innovations reflect our commitment to the business and to the continued presence of our slaker products at the forefront of lime slaking technology for many years to come.